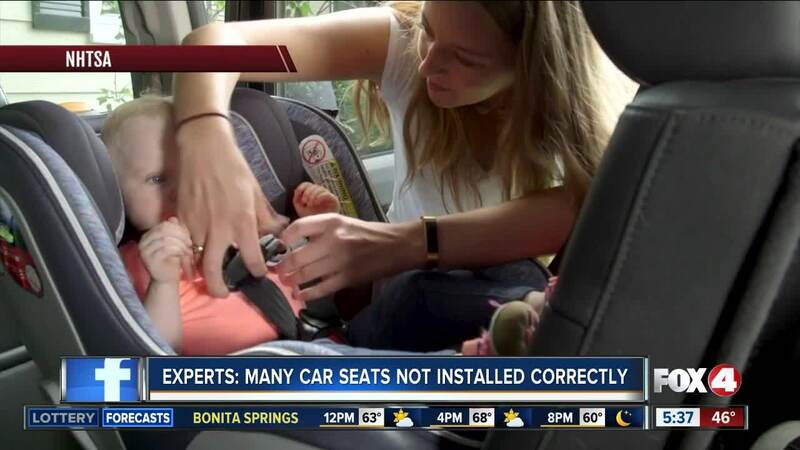 FORT MYERS, Fla. -- Many kids spend a lot of time in the car so Fox 4 is in your Corner, making sure you know how to keep them safe while you're out on the road. According to Safer Ride for Kids , a child is almost 4 times more likely to get hurt in a crash if they are not correctly secured in their car seat. In 2016, statistics show 35% of the 700 kids who died in a car crash simply were not buckled in right. Experts at Golisano Children’s Hospital said some parents are not putting their kids in their car seat correctly and they don’t even know it. Sally Kreuscher, the Safe Kids Coordinator at the hospital said the common mistakes parents make are: using the wrong car seat for their kid, installing the car seat incorrectly, facing their kid’s car seat in the wrong direction and not securing their kid in the car seat properly. Statistics show that using the car seat correctly can reduce the risk of death by up to 70%. 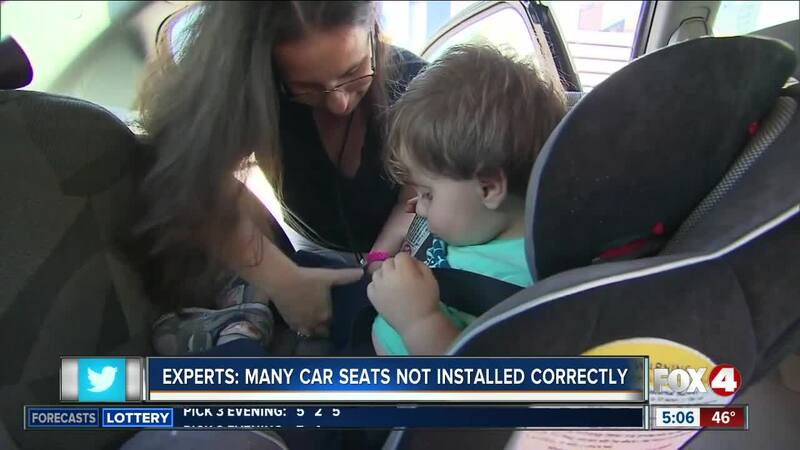 Experts suggest not using a used car seat or one with missing labels because it could be unsafe. They say car seats actually expire after 6 or 7 years. According to Florida State Law , kids 4 years old and younger always need to be in a car seat. Once a child outgrows the height and weight limit of that car seat, they can move on to a booster seat until they are 4 ft. 9 in. tall. Once you pick the right car right, you need to know how to buckle up your kids correctly. Make sure the straps are tight enough and the car seat is installed correctly. If you need any help, contact a nearby certified car seat technician to inspect it. It’s a free service! There comes a time when parents finally allow their kids to sit up front. But if you’re in a crash, the air bag is meant to hit your chest. Experts said some parents are allowing their kids to sit up here way too soon because when that air bag goes off, it’s hitting their kids face instead. With everything else, kids copy what adults do so if you always buckle up, kids will too as they get older.